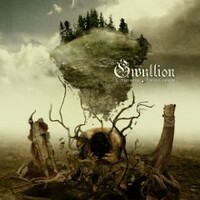 Gwyllion is a Belgium band which is named after a female Walisian spirit. The band was founded in 2003 by singer Annelore Vantomme and drummer Wouter Debonnet. Soon Wouter got his brothers Martijn and Joris involved. The line-up was complete by guitarist Steve Deleu and bassist Thomas Halsberghe. After the release of a demo they stepped into the limelight with the self-released album Awakening The Dream in 2007. Now they are signed to Black Bards Entertainment and it's time for The Edge Of All I Know. Musically the band is based in symphonic metal, but at Entwinded you can also find some folk elements. But what makes them differ from bands like Within Temptation and Nightwish is the voice of Annelore Vantomme which is darker and she isn't singing operatic. The Belgium sextet takes you onto a sonic roller coaster ride and onto a journey through different atmospheres. With Void they present a heavy mid-paced rocker based on heavy riffs, but then there is the fast refrain with symphonic keyboard and Martijn's counter part vocals. A break and you get a slow piano-based passage before they speed up again. A wall of guitars is hitting you at Rage, but the classic-influenced keyboard it taking off the edge a bit. Fast riffing is forcing you ahead and it seems that Annelore is fighting something... standing up against the guitars. At Beyond Goodbye they start slowly and the emotional vocals lead you into this, but then the song explodes and even if it has a melancholy edge there is a spark of hope. But it's Annelore's vocals which make this song special. With Closure they get heavy! The track has a modern edge, but is still very symphonic. A powerful emotional track with heavy riffing. At the bombastic Roots Of Reality Annelore shows that she is also able to add some soprano parts - and here the similarties to Within Temptations and co. is more prominent. The closer is a ballad which is stripped down to piano and vocals. Very emotional and well done. Unfortunately Annelore Vantomme had to leave the band after the recordings due to a lack of time, but the band already found a replacement in Ann van Rooy. Ann van Rooy has to prove that she can keep up live and on a future release, meanwhile it's a pleasure to listen to Annelore!